I haven’t had any friends from home visit Battambang since I arrived, but a few times a friend-of-a-friend, backpacking through Cambodia, has stopped by for a few days. They’re usually shocked by the conversations I have with Jesuits. We talk about pop culture, I complain (in not so polite language) about the Vatican, we share stories about tailgating and college parties. They’re just people after all. 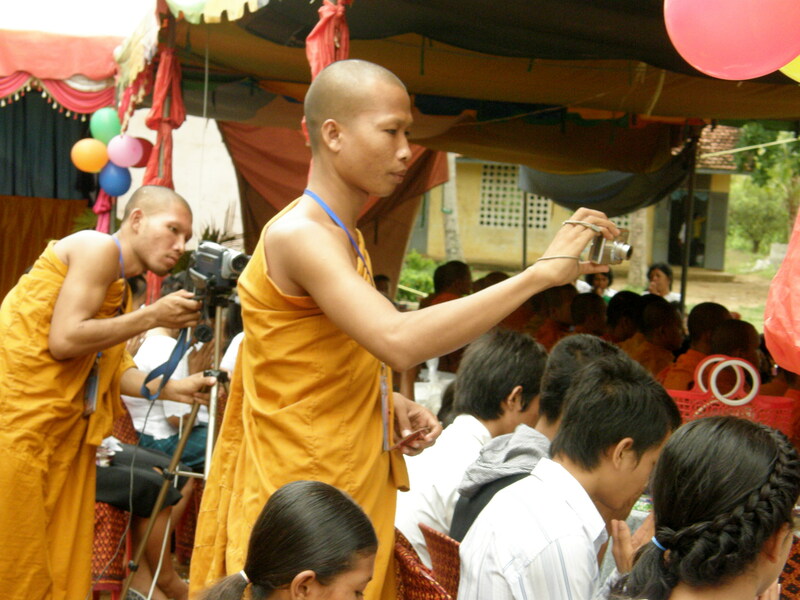 But after nearly a year, it still – still!- catches me by surprise when I see Buddhist monks chatting on cell phones or using video cameras. They’re just people too.